So much more effective than scaring someone the old fashioned way by sneaking up on them and yelling something. Two soldiers, joined by a third man, were drinking alcohol and watching football at the time of the Sunday night incident, authorities said. 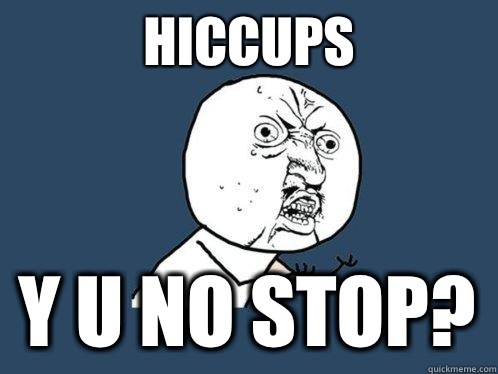 “The victim had the hiccups. The suspect (Pfc. Patrick Edward Myers, 27) pulled out a gun to scare him in order to stop the hiccups” and shot the victim (Pfc. Isaac Lawrence Young, 22) in the face killing him. Tragic. Another reminder not to hang around stupid people, even if they are a friend of a friend. I bet Patrick will be affectionately known as “Hiccups” in prison. At least they got rid of Isaac’s hiccups. id shoot myself too if i had to watch another game with the replacement referees. but seriously, this is tragic. Just stupid. Loaded firearms and loaded people do not mix. Stateside you have to turn in your firearms to the base armory outside training. Really? How is this even possible? I was talking about service weapons. If you live on base, most of them require you to store your private weapons in the armory if you live in the barracks. Base family housing it varies. Stupid, something tells me that Pfc. Douchebag had some other issues with the victim. Unless he thought his chamber was clear of live-rounds. Otherwise I cant imagine being drunk enough to intentionally shoot a friend in the face. Douche will be staying at Leavenworth for awhile.